Bathroom cleanliness is pertinent for various reasons. It not only improves your morning organization and mental clarity, it is also a very telling feature of your home. It is here that guests can further determine your level of cleanliness and accents of your personality. With over 12 years of experience in residential and commercial bathroom cleaning, Kingdom Cleaning is a company you can trust to ensure that each tile and crevice are spotlessly cleaned. We make the promise that you will have the peace of mind you need each time you enter, and so each guest feels comfortable with each visit. When cleaning one’s bathroom, there is a checklist we use to ensure each task has been thoroughly attended to, and with use top-of-the-line products. One of the most utilized and important elements of the home is of course, the toilet. We ensure the toilet bowl, handle and entire surface are thoroughly cleaned, disinfected and polished. When it comes to the shower, we don’t consider a job completed until all mold, mildew, soap scum, hard water stains and deposits are completely removed and all surfaces have been buffed and polished resulting in a smooth, pristine, glimmering shower. All windows, lights and mirrors will be dusted and polished to perfection. 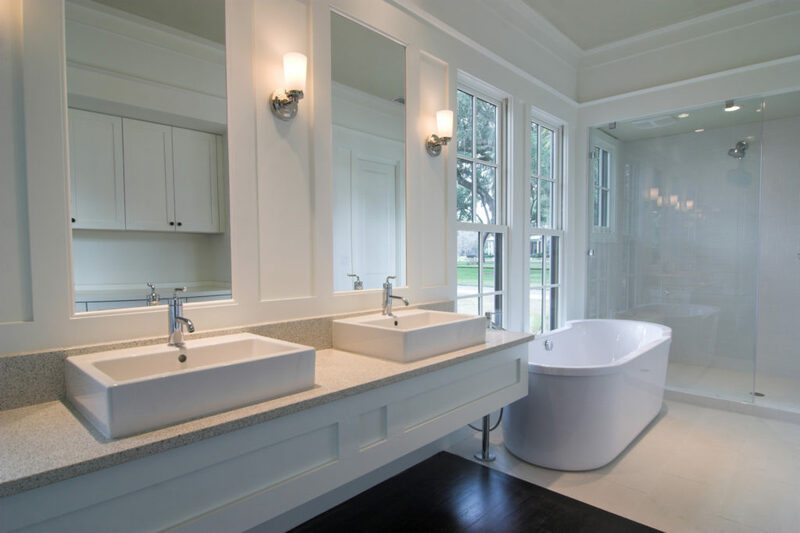 Last but not least, the bathroom walls, baseboards, ceiling and blinds will be steamed/hand-washed and polished so that your entire bathroom will be without one particle of dust or dirt. Please be rest assured, all of your belongings will be respected and untouched without your consent or specific direction. When you call Kingdom Cleaning in Carson, CA for a free estimate, we attentively listen to your personal needs and preferences with the highest respect and consideration. Building long-term relationships and a strong rapport with our customers is our number one priority, and we will always go above and beyond to ensure that you are satisfied with our work.